Coleman Sleeping Bag Just $35.71! Down From $67! PLUS FREE Shipping! You are here: Home / Great Deals / Amazon Deals / Coleman Sleeping Bag Just $35.71! Down From $67! PLUS FREE Shipping! At Amazon, you can score this Coleman Sleeping Bag for just $35.71 down from $66.99 PLUS FREE shipping! Sleep comfortably, even when it’s 0° F outside, in the Coleman North Rim Adult Mummy Sleeping Bag with a polyester rip-stop cover and polyester lining. It’s designed to keep you warm from top to bottom. The drawstring-adjustable hood surrounds your head to keep you warm. A special quilting construction eliminates potential cold spots. The full-length draft tube blocks heat loss through the zipper, and a box-shaped foot gives you extra room to move your feet. When you’re done, it’s easy to put it away in the stuff sack. 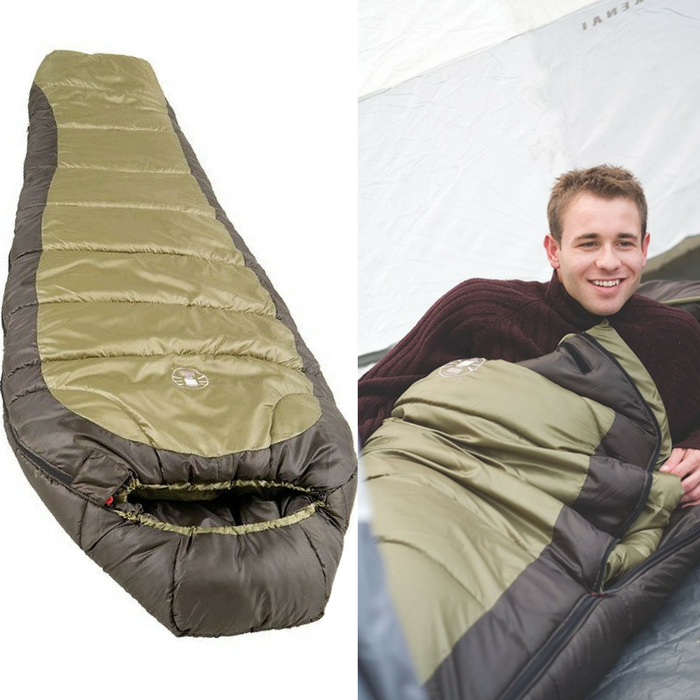 The North Rim Adult Mummy Sleeping Bag fits heights up to 6 ft. 2 in. and is machine washable.